Businesses no longer face the challenge of digitising retailing, but rather they face the challenge of retailing in the digital age, according to one marketing technology expert. 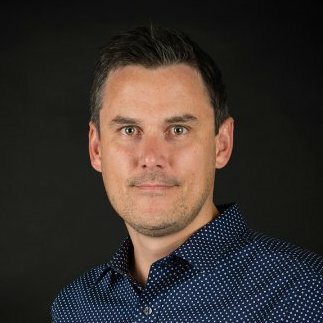 Speaking yesterday at Sitecore Trendspot 2017 in Sydney, SapientRazorfish director of technology Tom Beeby argued why brands and retailers need to move from “channels” to “eco-systems” as new consumer behaviours, new competitors, new business models, and new technologies change the nature of how they need to deliver customer experience. Becoming more flexible, immersive and fit for purpose. Thinking experience-led and mobile first (using mobile as a gateway to the brand). Focusing on the full customer journey. Moving from data and reports to intelligence about performance and their customers. Understanding that stores are far from irrelevant. Beeby then outlined three strategies businesses can use to overcome these challenges, the first being what he called “adaptable architectures”. “I would define an adaptable architecture as one that enables and promotes change and agility, rather than acting as an impediment,” he said. Deeply integrated commerce and content platforms. The second strategy Beeby noted was speed. “Speed is the imperative. You need to be flexible, agile and adaptive to enable fast execution,” he said. Beeby said there are a number of ingredients that go into helping generate speed, including the cloud, microservices, fit-for-purpose delivery, decoding devops, and creating a next-generation operating model. However, Beeby saved his most radical strategy for last – all businesses should become software companies. “Software is integral in everything we do. It’s not just a digital thing – it’s in how we optimise back-office processes, it’s in how we connect the journeys people have between touch points, it’s a key competitive differentiator for our businesses,” he said. “Having ownership of the [software] core code base, and having a solid understanding of how the idea fits together is critical for any business.